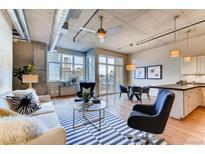 Below you can view all the condos for sale in the Golden Triangle Downtown subdivision located in Denver Colorado. Listings in Golden Triangle Downtown are updated daily from data we receive from the Denver multiple listing service. To learn more about any of these condos or to receive custom notifications when a new property is listed for sale in Golden Triangle Downtown, give us a call at 720-729-2320. New carpet and closet (w/d) in office. MLS#2092659. LIV Sotheby's International Realty. Last but not least, Get some fresh air from the balcony off of the living room and relax. Your home! MLS#5218842. Dream Denver. This is the best of Downtown Living! MLS#5337749. Coldwell Banker Residential BK. Take the 16th Street Mall Shuttle to LoDo and bike or drive to Cherry Creek. City living at its finest! MLS#5633464. Madison & Company Properties. Professional on-site management/security entrance/concierge, 24 hr security. MLS#5131541. Your Castle Real Estate Inc.
You Don'T Want To Miss This One!!! ! MLS#2398438. Colorado Premier Properties. Incredible opportunity too good to pass by! MLS#4190978. RE/MAX Leaders. 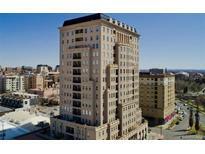 Location Location in the Heart of The Museums, Shopping, Art Galleries, and Restaurants. MLS#7308954. RE/MAX Alliance. Clean Contemporary Styling in Custom Kitchen with Italian Cabinets and Peninsula in Glossy White Polymer Cabinets by SICC Kitchen, and Rovere Moro Wood Finish Polymer Countertops, Stainless Steel Subway Backsplash, Profile Performa Fridge, Asko Dishwasher, Amana Cook top, GE Profile Oven, GE Monogram Range Hood, Hansgrohe Faucet, Stainless Steel Sink. MLS#2191397. HomeSmart Cherry Creek Properties. Units are under construction - completion projected for late summer/early fall 2019 *Call listing agent to set up a tour and check out website for details! ! MLS#6142209. LIV Sotheby's International Realty. Units are under construction - completion projected for late summer/early fall 2019 *Call listing agent to set up a tour and check out website for details! ! MLS#3104729. LIV Sotheby's International Realty. Close to Downtown, transportation, restaurants, retail and more! MLS#8332969. Redfin Corporation. E-Car Charging Station is an upgrade option possibility, call broker for details. MLS#8172150. Madison & Company Properties. Chic,Totally Updated Downtown Condo W/Spectacular Panoramic City Views!back On Market-buyers Financing Fell!buyers Loss Is Your Gain!resort Style Amenities!updated Kitchen W/Granite Countertops,Stainless Appliances,Gorgeous Backsplash,Newer Cabs,Stainless Pendant Lights&contrasting Granite On kitchen Island!large Liv Area W/Sliding Doors That Open To Covered Balcony!2 Additional Flex Spaces-off The Kitchen/Liv Area-could Be Dining Area,Home Office Or Reading Nook&in The Hall-could Be Home Office/Library/Craft room!both Baths Updated In A Modern Style W/Granite Counters,Tile Flrs,Modern Sinks⊂way Tile Shower Surrounds W/Accents!cool 2nd Bedroom W/Built In Murphy Bed,Shelving,Desk~even Wine Fridge&cozy Elec Fireplace!custom Blinds On French Doors For Privacy!convenient Laundry Located Right Around Corner In Hallway!resort Style Pool/Hot Tub,State Of The Art Fitness Center,Theater Room!walk To Downtown,Restaurants,Grocery&cherry Creek Biking/Walking Path To Lohi,Riverfront,Cherry Creek! MLS#4677410. Berkshire Hathaway HomeServices RE of the Rockies. Enjoy the easy access to major public transportation and only 4 blocks to the Cherry Creek Trail. MLS#4185744. 1858 Real Estate. The perfect city dwelling for the enlightened/cultural buyer! MLS#7357927. LIV Sotheby's International Realty. Close to bus, great walk / bike location. MLS#9378083. RE/MAX ALLIANCE. Enjoy all that Downtown Denver has to offer, then slip quietly away to your oasis in the Beauvallon! MLS#1967729. Slate Real Estate Advisors LLC. This home is a truly rare find in the middle of the city! MLS#7672943. Dream Denver. A wonderful location & great entertaining floor-plan. MLS#7518719. COLDWELL BANKER RESIDENTIAL 18. Buyer to verify information regarding taxes and square footage. MLS#6130890. HUFFORD & COMPANY INC. Buyer to verify information regarding taxes and square footage. MLS#2495068. HUFFORD & COMPANY INC.